Having collectively 50+ years of experience in WordPress Plugin Development we can customize or develop WordPress Plugin. These themes and plugins have become almost essential to the workflow of a lot of developers and many developers create custom WordPress themes and plugins themselves in order to create a custom look or functionality for the website. By creating custom themes and plugins in WordPress, the possibilities of the functionality and the look of the website are limitless. WordPress Plugins are bits of software that can be added to a WordPress site to increase the functionality and customize the look of the website. There are many plugins available for WordPress, both free and paid. Why Develop Custom WordPress Plugins? The best way to add a custom function to a WordPress site is by creating a custom plugin. A WordPress plugin is a software or a set of one or more functions written in the PHP scripting language and they add a specific set of features or services to the WordPress site. 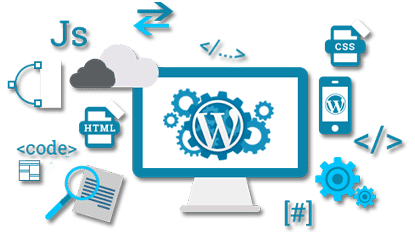 By allowing developers to create custom third-party plugins which allows them to extend the functionality of the software platform, WordPress is one of the most customizable website building platforms in the world. when these plugins are not either well supported or not up to the exact needs of the client. Plugins for WordPress are coded in PHP using proper development practices to ensure the WordPress plugin completely satisfies the client’s custom needs. 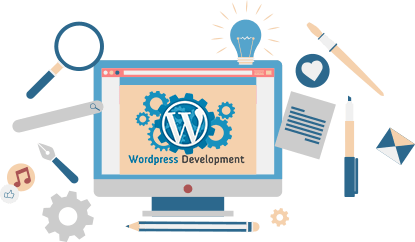 Our WordPress services including developing custom plugins following proper development practices to ensure our clients get the exact custom functionality they require out of their websites. As WordPress is an open-source platform, custom plugins can be used to alter any feature or add to it and the possibilities are truly endless when it comes to creating WordPress plugins.